When the subject of value for money in shopping comes up, the two department stores that consistently top the list are Sears and Best Buy. Sears is of course practically synonymous with high-quality merchandise at low cost, but Best Buy is no slouch in this regard either. Nevertheless, each one has a number of benefits over the other that may make it a better choice depending on your needs. Sears is of course the king of the cheap buys hill, and it remains one of the best places to score some good deals, particularly in hardware. Especially worthy of mention are their Craftsman and Kenmore lines.Best Buy is no slouch in the great deals department either, and they have also made waves with their full-service delivery and installation services. In fact, Best Buy delivery personnel will also cart away your old appliances for recycling if you ask them to. How's that for service?Best Buy also has the advantage of keeping more TVs in stock–many of them high-end models–although the Sears personnel are generally better informed about their products. Best Buy seems to have the edge over Sears in terms of pricing, with many of their merchandise being as much as 20% cheaper. 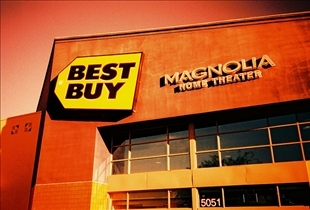 Best Buy also has the advantage of carrying exclusive products, since they often deal with volume sales to their customers. This gives them a lot of leverage when dealing with manufacturers, so they can therefore offer merchandise at much lower prices than Sears and other department store chains can. One of the best aspects of Best Buy’s warranty policy is the PSP or Performance Service Plan, which basically covers you for parts and labor, wear and tear resulting from normal use, and damage resulting from power spikes and handling. Furthermore, the PSP is transferable, so people you later sell your merchandise to can take advantage of the plan as well.As for Sears, it offers a Maintenance Agreement that basically covers you for parts and labor, and you also get the benefit of unlimited service and technical support calls. 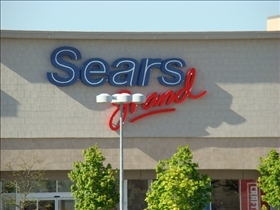 In addition, Sears also offers a yearly preventative maintenance check. In this aspect, Sears and Best Buy appear to be neck and neck.Sears also allows you to return merchandise up to 90 days afterwards with a receipt. Best Buy’s return policy is a bit of a letdown in comparison, allowing you to return your merchandise for a refund for up to 30 days only. Which store offers better deals?